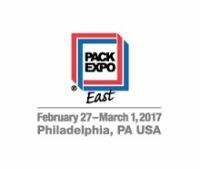 Pack Expo East in Philly! Pack Expo East is bar-none. No other show offers companies on the East Coast so much in the way of packaging innovation, education and inspiration—400 top suppliers in 100,000 net square feet of exhibits. Come with your whole team for an eye-opening, energizing experience! MoistTech Corp. was happy to be a part of this years show and hope to see you all next year at Pack Expo East!